Nobody likes a liar – yet the funny thing is we are all guilty of lying at one time or another in our lives. 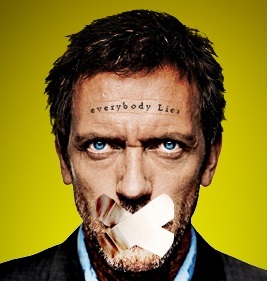 Everybody lies – that is a now famous line of Dr. House from the now defunct, yet very popular TV show, House, MD. My latest piece on elephant journal is all about lies – from our tender beginnings of hearing lies and when we first start to tell them to how they’ve become an almost necessity in life for our own sanity and survival. I hope you take a moment to read this piece and while you’re there, as always, please check out the rest of elephant journal’s site! There is something there for everyone, you won’t be disappointed!